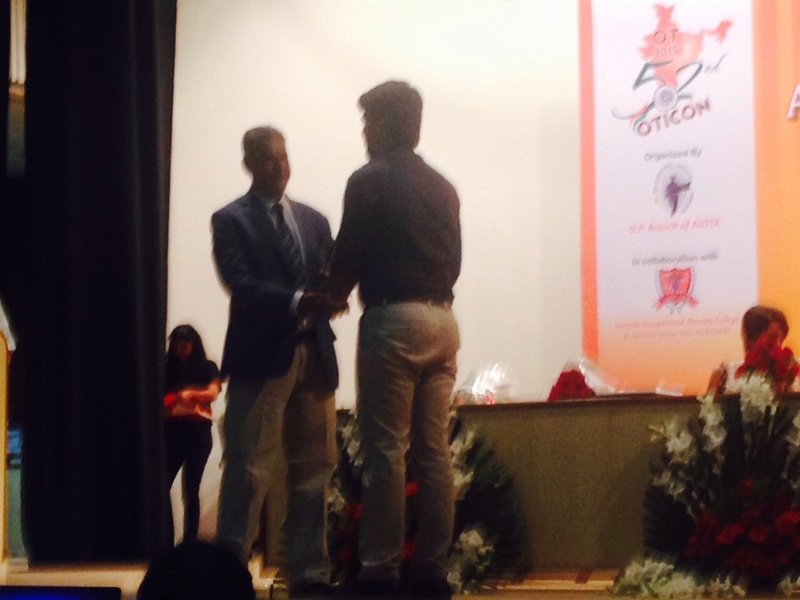 Raviraj Shetty’s Paper on Narrative Ideas & Occupational Therapy Practice Wins an Award for Best Paper! 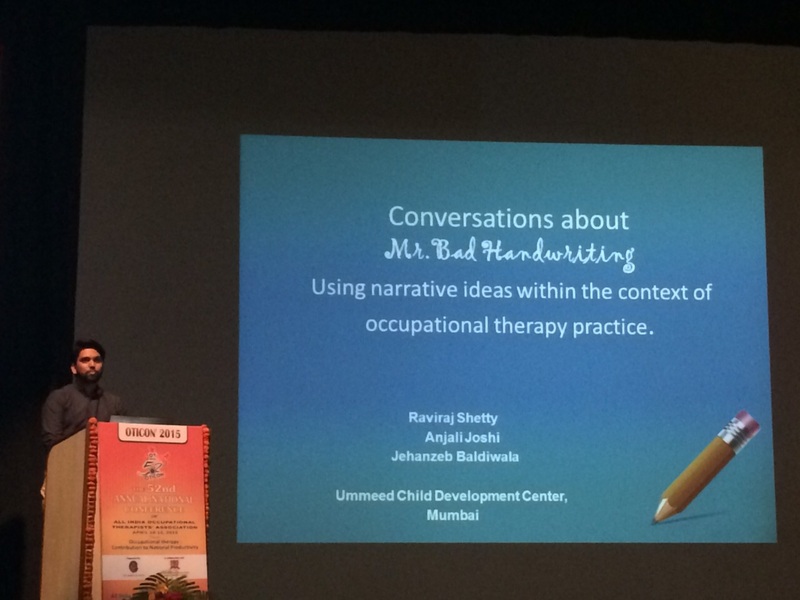 Congratulations to Ummeed’s very own Raviraj Shetty for winning the Best Paper award for his article entitled, “Conversations About Mr. Bad Handwriting: Using Narrative Ideas Within the Context of Occupational Therapy Practice” at the 52nd Annual National Conference of All India Occupational Therapists’ Association in New Delhi last weekend! 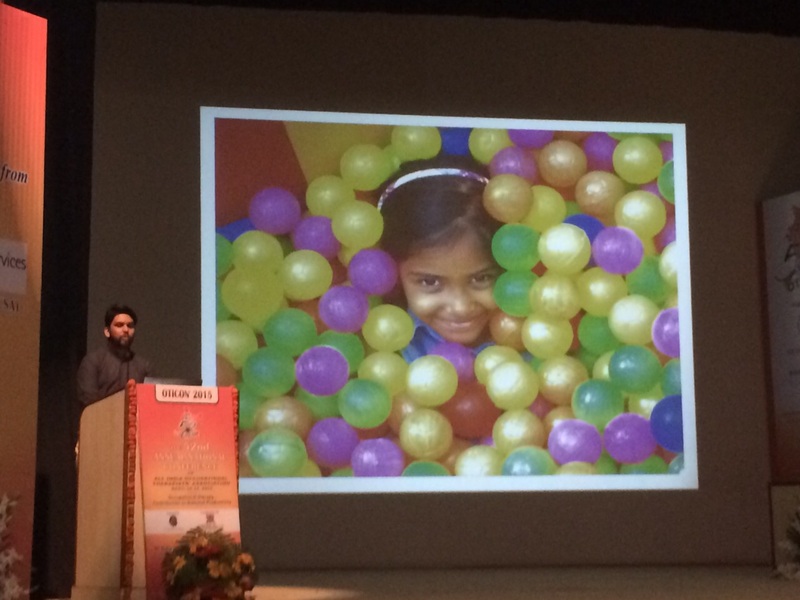 Using narrative practices, Raviraj conducted a group last year for children to improve their handwriting skills, based on which he wrote this award winning paper and made a presentation to the attendees of the conference. Well done, Raviraj, on demonstrating and sharing such a powerful, transdisciplinary, and innovative application of narrative therapy! Congratulations Raviraj! 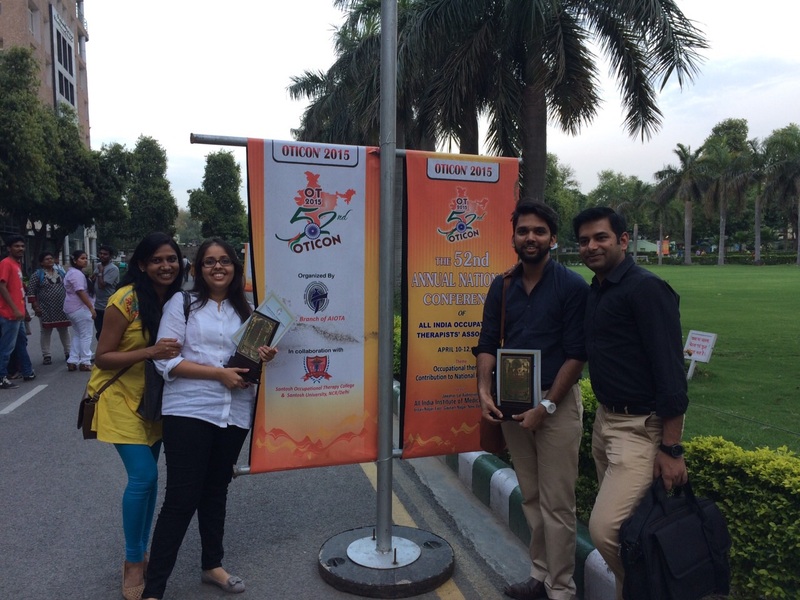 Having heard you present on this work to the MHTP 5 group, I am not surprised that the All India OT Conference has given this recognition. It is really creative and innovative work. Thanks a lot Maggie for the warm wishes and the smile on your face….My narrative journey is exciting with you and others in it.